University campuses are fascinating to me. They are a world unto themselves, each with their own sense of place and unique energy. After a recent Richard Parker Professorship in Metropolitan Growth and Change Advisory Committee meeting at the University of Calgary, I decided to flaneur the campus. For those of you who haven’t been on campus (or haven’t been there in many years), it is a maze of buildings, pathways and +15 bridges that can be difficult for the neophyte to negotiate. I was immediately drawn to the relatively new (opened in 2011) $205 million Taylor Family Digital Library complex which seems to have become the heart of the campus (but not before getting trapped in a construction detour). Upon entering, there was an advance Municipal Election polling station in the lobby, so I quickly voted. 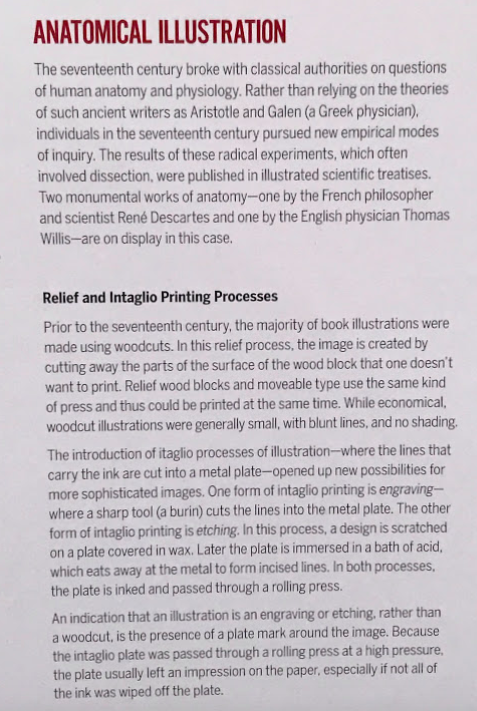 Then above the polling station tables I saw a huge sign saying “The Book Dissected” exhibition was on the 5th Floor. I couldn’t resist. What I found was an amazing treasure – a tiny exhibition room hidden at the far end of the hall. While the floor was packed with students, I doubt many or perhaps maybe any of them realized what lie at the end of that hall. 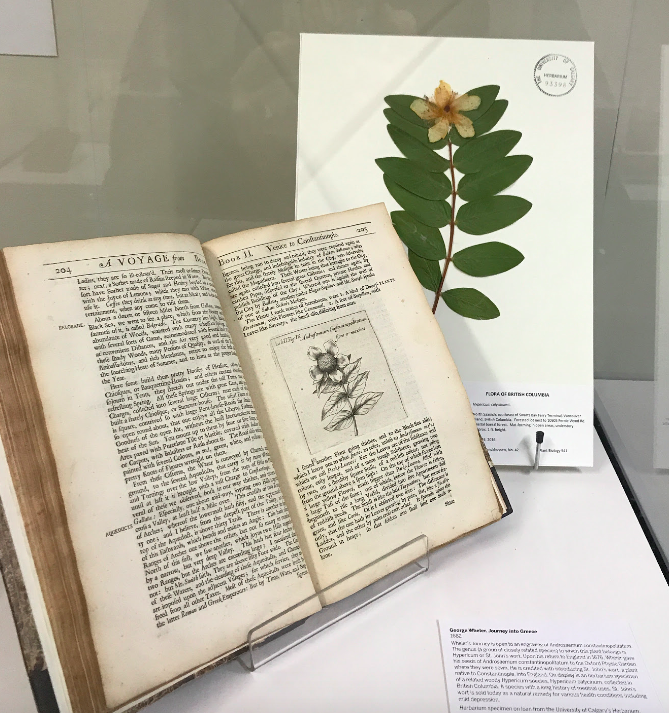 What I found was an intriguing exhibition entitled “The Book Dissected” exploring book construction and illustration from 1500 to the 1800s. 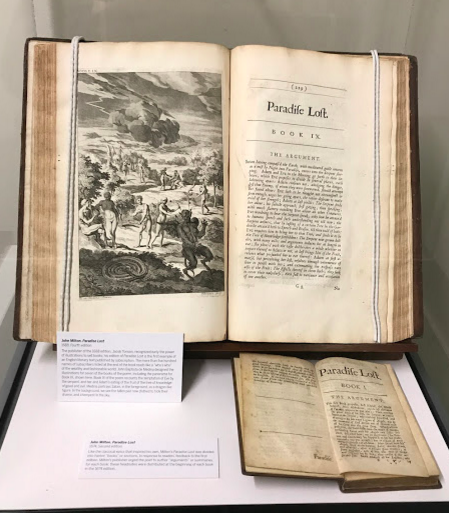 The highlight for me was Book IX of John Milton’s Paradise Lost (published in 1688) opened to a full-page engraving illustrating the “fall of humankind.” Nearby was a Latin bible from 1556 with an alchemical recipe scribbled on it and an ancient Swedish bible with pressed flowers still sitting on the opened page. There are actually two edition of Milton's Paradise Lost in the collection a fourth edition (top, 1688) and second edition (bottom, 1674). 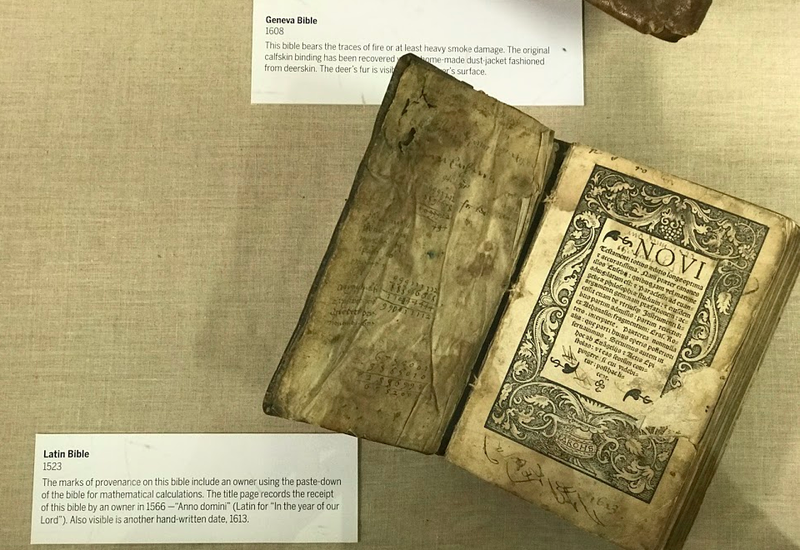 One of the most remarkable illustrations was an ancient clergyman’s design for Noah’s Ark, which the exhibition brochure says, is mathematically correct. Not sure how they would know that? 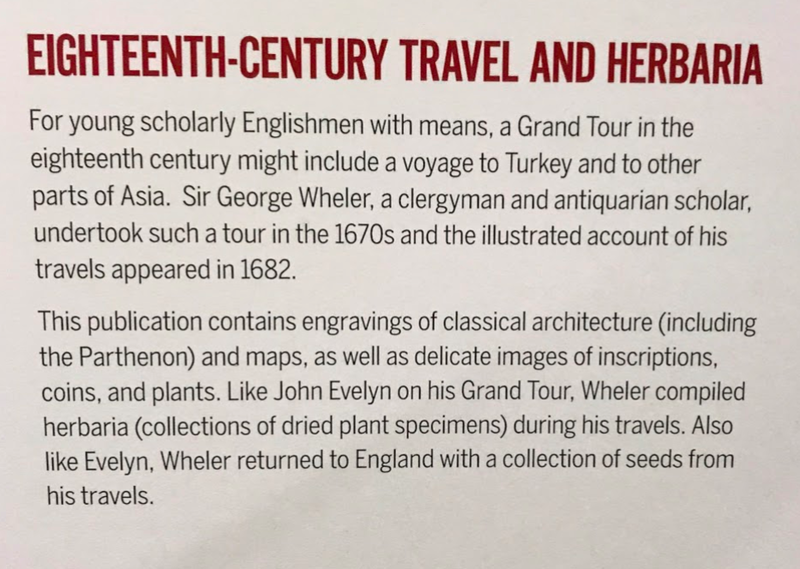 The exhibition also explores the collecting pursuits of ancient English travellers combined with specimens of the same time borrowed from the Faculty of Science to create a 17th century cabinet of curiosities. I left shaking my head wondering what other amazing treasures the University of Calgary has hidden away in remote locations. 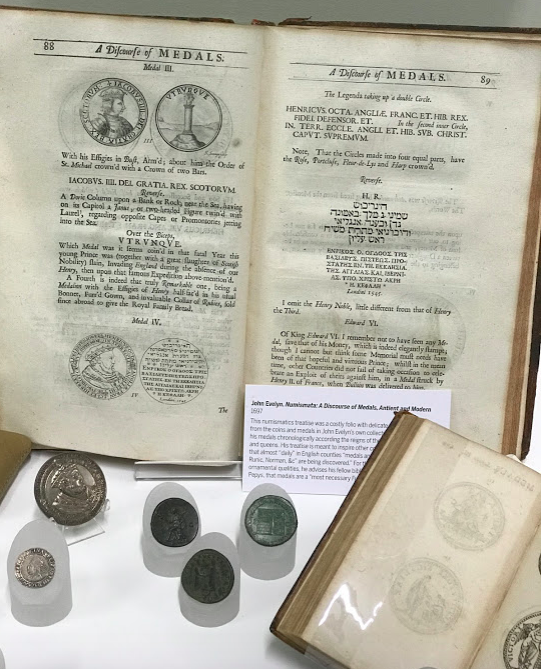 In fact, the exhibition brochure says, “The bibles in Special Collections are a particularly rich source for provenance research.” Surely, the Special Collections deserves a more prominent location in the Library and more recognition as one of Calgary’s best treasures. With the right location and marketing, it could become a tourist attraction! May I suggest it could replace the gift shop next to the Nickle Museum on the ground floor? 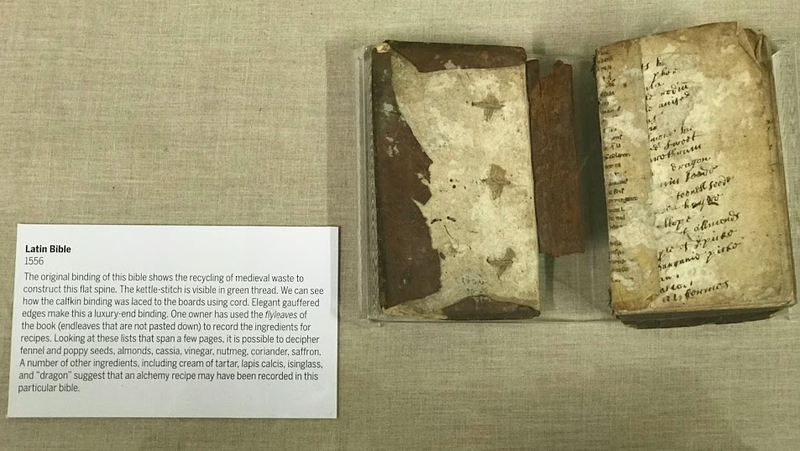 “The Book Dissected” is presented by the University of Calgary’s Special Collections and curated by Maria Zytaruk, Department of English. It continues until December 4, 2017.